Conifers, “cone-bearing plants”, are an ancient plant line extending back 300 million years into Upper Carboniferous times. Conifers are mostly evergreen and on our continent include pine, spruce, fir, cedar, arborvitae, juniper, hemlock, yew, sequoia and others. 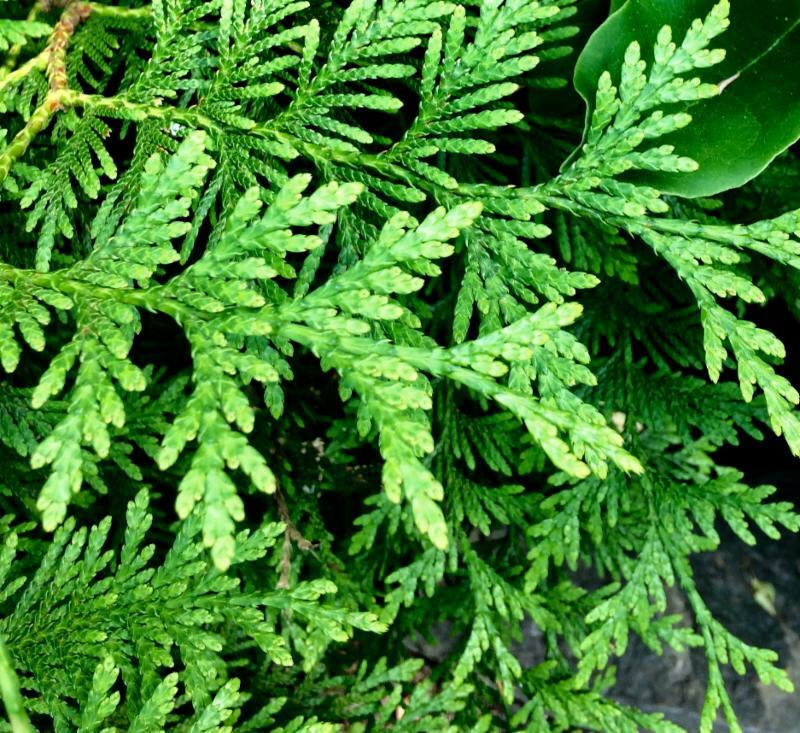 Two North American genera, larch and bald cypress, are deciduous, losing their needles in winter. 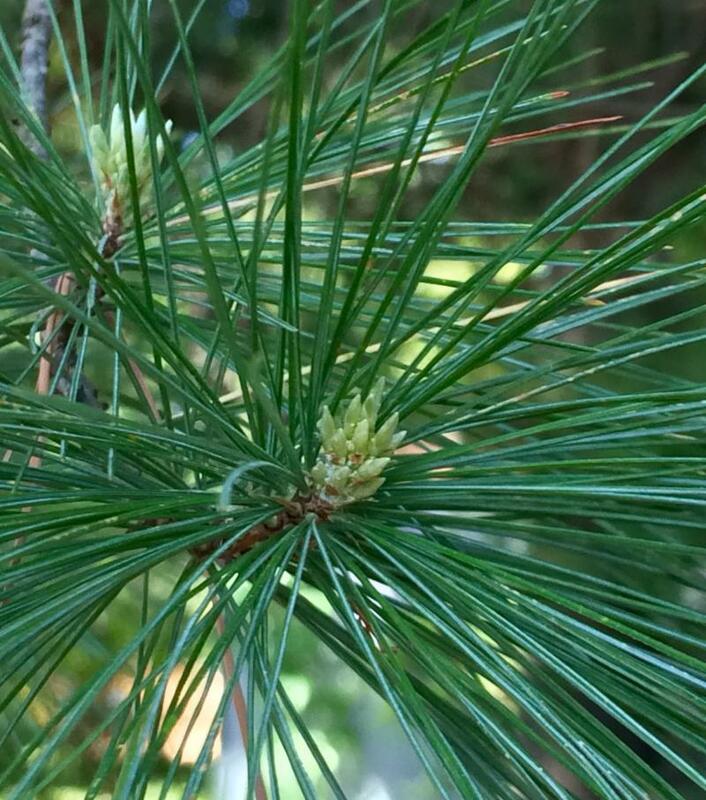 Most conifers reproduce via wind pollination. Nearly all are monoecious, “one house”, with both male and female cones on the same tree. The male cones (yellow or red) are smaller and short-lived, releasing their abundant pollen in the gusting winds of March and April. The female seed-cones are woody and differ in shape and size by species of tree. They range from less than ½ inch to nearly 2 feet long. In junipers and yews the female cone resembles a berry. 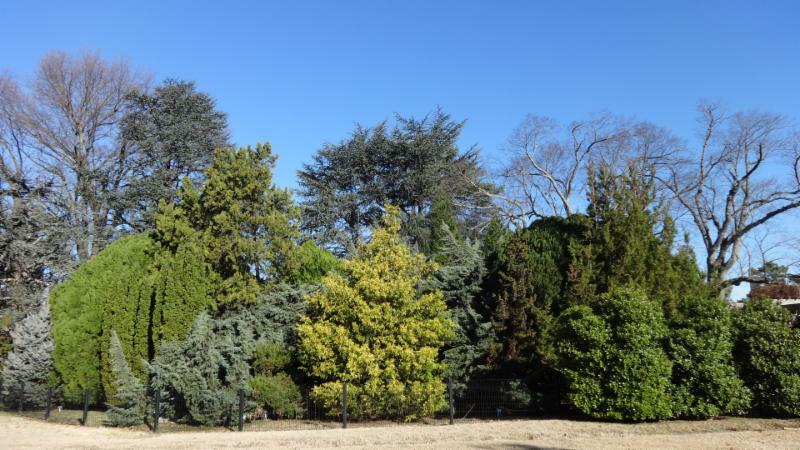 On the Memphis Botanic Garden grounds, we have over 100 species of conifers labeled with name tags, many keyed by number to our conifer and general plant maps. ﻿Weeping Blue Atlas Cedar - Cedrus atlantica ‘Glauca Pendula’ ( 632) . 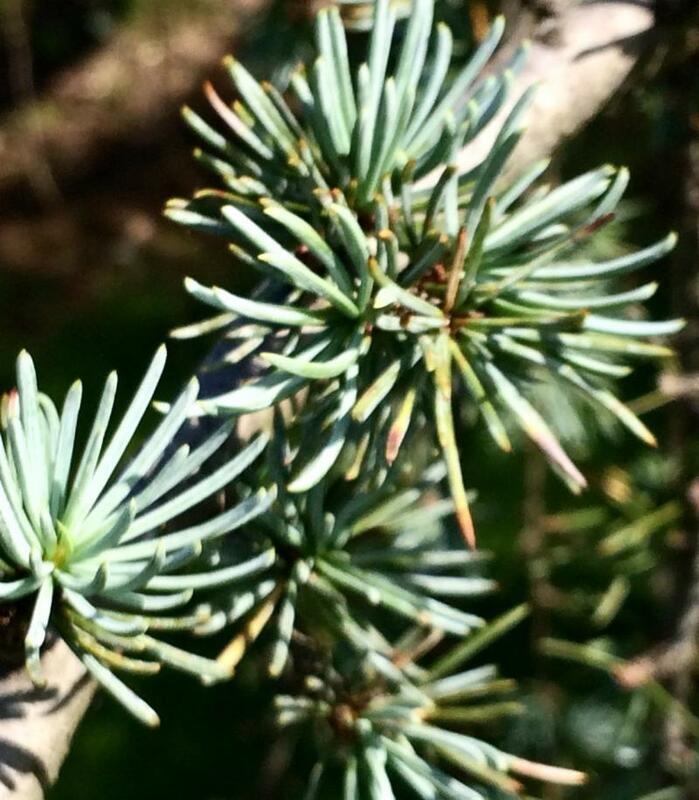 Note the tufts of silver-blue-green needles clustered along the branches. Cones are upright cylinders with tight encircling scales. Examine the tree’s dramatic weeping form and variable textured gray bark. ﻿Giant Arborvitae – Thuja plicata ( 148 ). Note the horizontally-layered flat sprays of yellow-green scale-like leaves. Cone is a green ½”oval, becoming brown as it opens. Overall tree shape is pyramidal. Bark has reddish-brown vertical shreds. Just north of the Rose Garden, we have a newly planted Dwarf Conifer Collection. The Japanese Garden (section L) and Asian Garden (Section K) are graced by an exceptional collection of cedars, pines, falsecypress, cryptomeria, junipers, yews, and more. .
Stroll throughout the garden grounds and breathe deeply of the evergreen scent of our regal native pines, arborvitae, cedars, and hemlocks. Marvel at their unique needle structure and bark patterns. Maps are available at the front desk or in the mailbox on the north side of the rose garden. It is with great sadness that we announce the passing of Jenny Sabatier. Jenny was a life-long tree enthusiast and wrote a large majority of our Under the Oaks articles for the first 13 newsletters. 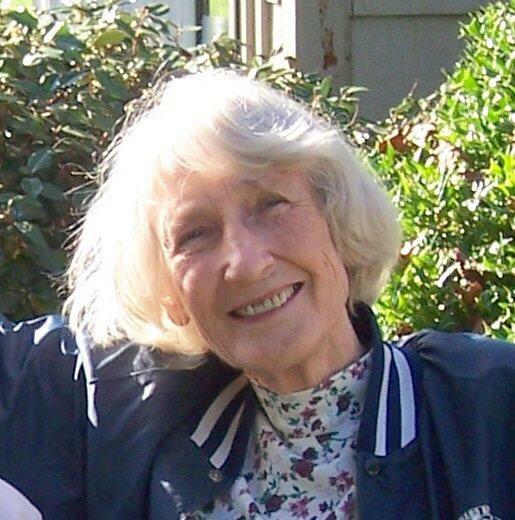 Well into her eighties, she remained a spry, curious, energetic lady who loved trees and the creatures they support. She is missed by all that knew her.